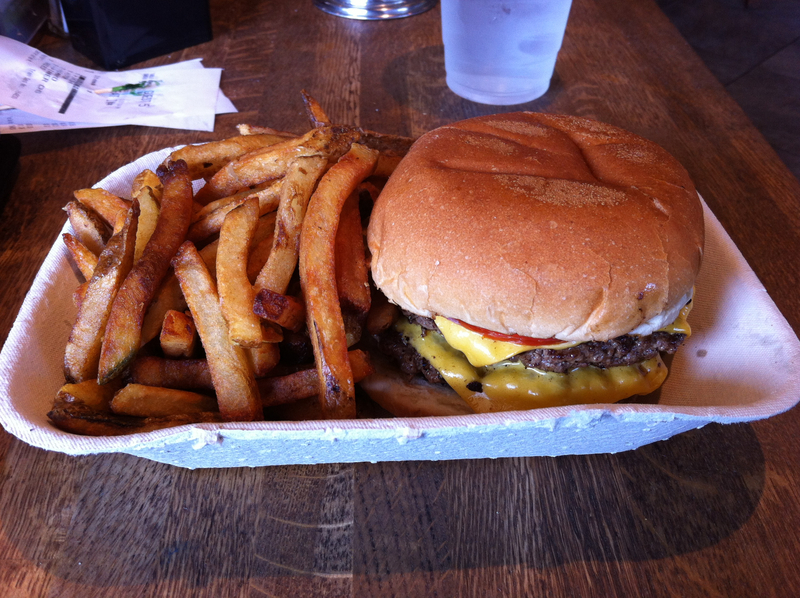 Over the last couple of months, I’ve seen several mentions of Village Burger – on a great website (roadfood.com) referred by a friend – actually he was pointing out the peach donuts in California, but I searched for Georgia places, on one of my favorite blogs (Marie, Let’s Eat), in a couple of magazine lists and from several friends. 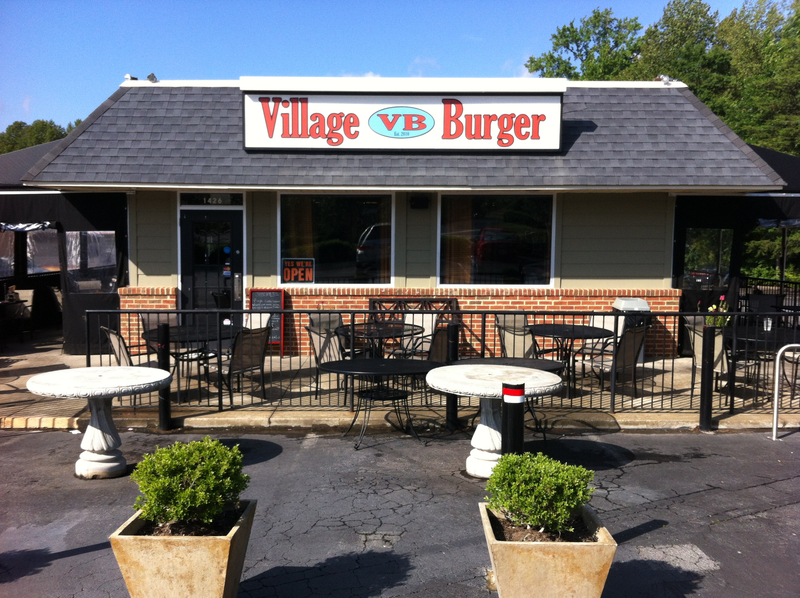 During my three-day bachelorhood, I was driving across the top end perimeter and figured it would be the perfect night to swing by and try out Village Burger. I arrived about 5:15 (at what appears to be a re-purposed Brewster’s) to find a few folks sitting at the bar and one family at a table in the corner. It has the look of a Southern California burger joint, where you walk in and place your order at a counter, then take your number and take a seat. The menu is fairly straight forward – burgers, chicken, salads and frozen custards. 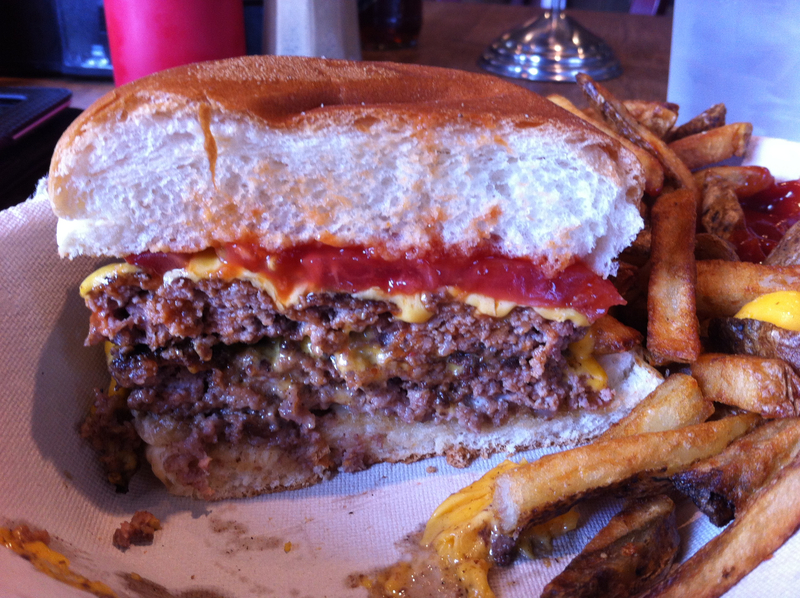 I elected the Village Burger, fresh ground beef on a bakery bun with American Cheese served with hand-cut fries. 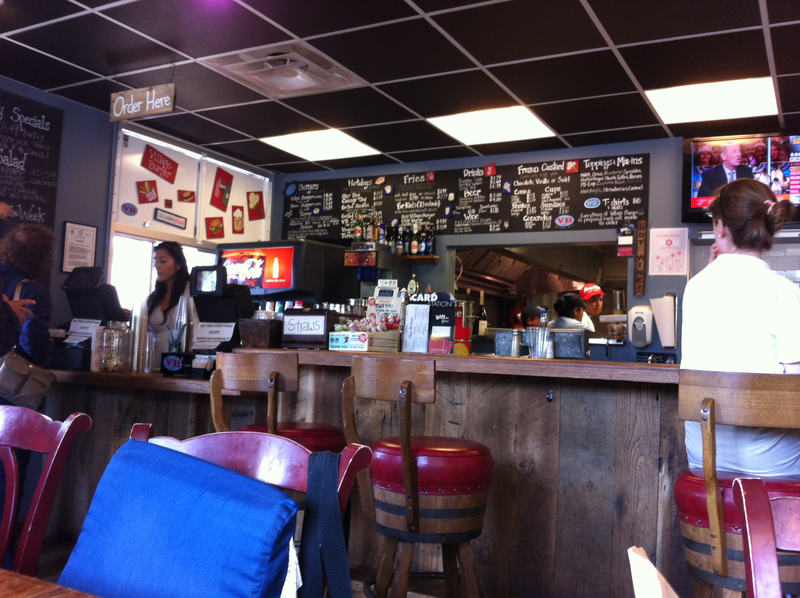 The fries were listed as being fried in peanut oil, and I swear they tasted nutty. The burger was good, and definitely worth eating if you’re in the neighborhood (which I was), but I would have been disappointed had I driven across town to eat there.